Property 1: Gorgeous Condo With Heavenly Harbor And Ocean Views, And Close To Everything! Christiansted House w/Ocean-View Pool & Spa! Property 5: Christiansted House w/Ocean-View Pool & Spa! Property 8: An artful retreat in the historic town of Christiansted, St. Croix. At Richmond Inn, you will find comfort and clean rooms. Property 17: At Richmond Inn, you will find comfort and clean rooms. Beautiful / Affordable Carribean Oceanfront - Paradise Awaits! Property 24: Beautiful / Affordable Carribean Oceanfront - Paradise Awaits! 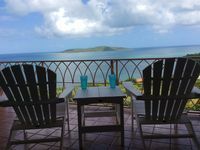 Property 26: Jewel of the Isle - SUMMER 2019 SPECIAL only $160.00 per night !! Property 27: SUN,SEA,SAND! Ground Floor Condo @ COLONY COVE.Great Rates! Escape to the Caribbean! Beachfront Condo Starting at Just $99/Night! Property 28: Escape to the Caribbean! Beachfront Condo Starting at Just $99/Night! Caribbean Oasis! Newly Remodeled Waterfront Condo With A Million Dollar View! Property 30: Caribbean Oasis! Newly Remodeled Waterfront Condo With A Million Dollar View! Amazing Waterfront Escape: Balcony, Renovated, Paradise at a Great Price! Property 34: Amazing Waterfront Escape: Balcony, Renovated, Paradise at a Great Price! Property 37: Change of Latitude -3bdr/3bth Seaside - SPRING SPECIAL- $175.00 per night !! Property 41: Suite Dreams at Club St Croix- SPRING SPECIAL - only $190 per night ! 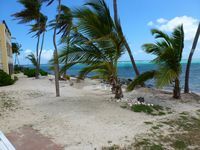 Property 44: 2 Bed/2 Bath Beachfront Condo with Caribbean view and gorgeous pool. Discounted spring prices & FREE Cancellation-Beach front with restaurant short walk on the beach! Property 48: Discounted spring prices & FREE Cancellation-Beach front with restaurant short walk on the beach! Check our off season rates! You've seen the rest - You deserve the best! Property 49: Check our off season rates! You've seen the rest - You deserve the best! Enjoyed our time as a family at Colony Cove. This is our first time staying in a condo. We have always stayed at a hotel when going on vacation. What I loved was the unit was fully equipped with what you would need for your home away from home right down to the beach chairs, a cooler, and snorkeling gear. Also the conveniences of the beach, pool, grocery store, and restaurants, are all right there. A local fishermen with the catch of the day was just up the road if you are interested in cooking your own dinner in the condo or at poolside on the grill. If you want to head into downtown Christiansted it&rsquo;s just a few minutes drive. Shannon and Mike we want to thank you for allowing us to stay at your condo for the week. We definitely made some lasting memories. Wonderful home away from home in paradise!! Azure View is a wonderful getaway condo that really felt like home. My husband and me, along with our 9 and 12 yr old kids can't wait to come back! Lora was incredibly helpful and met us at the airport (even though it was late!) and walked us through everything, including getting the rental car, driving caravan with us to Coakley Bay condos and sharing things to know and do in St. Croix. The condo was clean, beds comfortable, the decor wonderful and view was simply fabulous. The owners have really thought about those extra things that make the experience so much better. Plenty of beach towels, chairs, sun umbrellas, a nice selection of books about the island and reefs, tons of DVDs for adults and kids alike, even a blender for homemade pi&ntilde;a coladas after a long day at the beach. Having a full kitchen was wonderful for packing lunches and nice homestyle dinners on the stove or grill. The washer and dryer in the condo were a big help, too. We brought our own pods but didn't need to, as they were supplied as well. Based on other reviews noting only a Keurig coffee maker, we brought a reusable cup with us and our own ground coffee. Christiansted and grocery stores were a quick 10-15 minute drive away, so stocking up on everything else was easy. Just down the road in either direction are beaches with great snorkling and soft white sand. Mermaid beach at the Buccaneer was a perfect best of both worlds and just 5 minutes down the road. The pool was warm, clean and a nice workout down the hill and back up. Unfortunately, the restaurant at the condos is currently closed so we didn't get to sample it but there are other restaurants close by for a nice lunch or dinner out. A number of the ones we tried to get to around the island were closed part of the week or under repair so we ended up using the kitchen even more than we thought we would. Azure view really is a gem, don't miss out on this incredible vacation destination! !